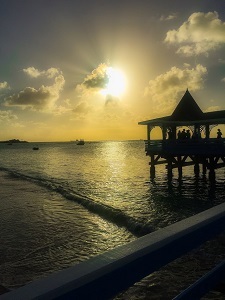 If you love beaches then Antigua is your dream destination. With 365 different beaches, there’s one for every day of the year. Antigua’s gentle plains and low rolling hills are dotted with old mills that used to service the sugar plantations. The scenery changes quite suddenly as you travel around. The roads will lead you through mango and pineapple groves and on into a tropical, semi-parched landscape before plunging you into lush rainforest. Halcyon Cove by Rex Resorts is one of Antigua’s longstanding gems. 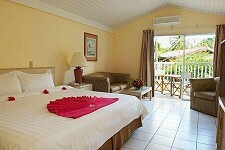 The property boasts a location on the gorgeous, white sand beach, Dickenson Bay. This tropical resort hotel is 9 minutes from the Capital City, St. John’s and 13 minutes away from the V C Bird International Airport. The property is excellent for both the business traveler and the vacationing family. Each room is fully air conditioned with WIFI, cable television, hair dryer, telephone and coffee maker along with a comfortable sized bed! Based on your room selection, especially via the beachfront rooms; you can catch the view of a perfect sunset on the balcony. Furthermore, the resort boasts three onsite restaurants, the famous and romantic floating restaurant Warri Pier, Arawak Terrace and the ever popular Carib Beach Grill located beachfront. Our guests compliment our excellent food and service and we’ll love for you to enjoy the scrumptious variety. Looking for excitement in the day or in the evenings? Our entertainment coordinators will make you a star doing the limbo, singing reggae or dancing to the islands calypso rhythms and so much more. 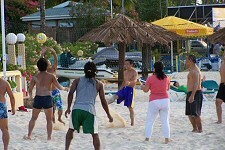 Tennis, non-motorized watersports and on-site massage services are also available. Please visit Reception or the Tour Desk should you wish to book any tours of the beautiful island. 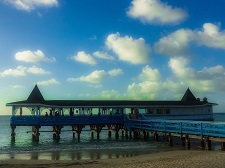 We’ll be happy to have you book with us via http://rexresorts.com/caricom/ or spend the day with us by purchasing Day Pass which is available 9:00 am – 5:00 pm daily.